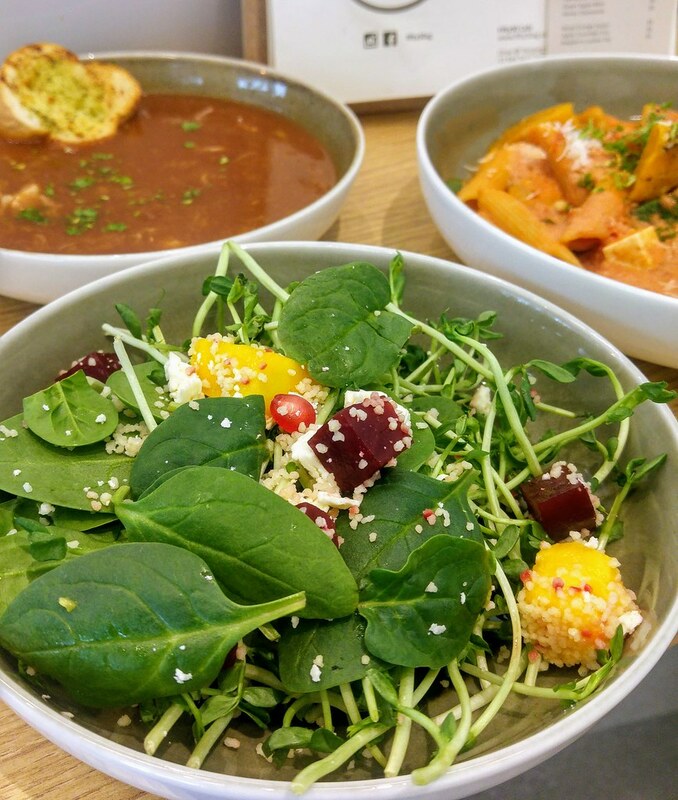 Fifty50 at Onze@Tanjong Pagar is a cosy little cafe that offers a 'flexitarian' menu. With meat free dishes occupying half of it, so should either you or your dining partner decide to skip the protein for a meal, both of you could still tuck into proper hot food together at Fifty50, saving that salad bars for other rainy days. Healthy indulgence and balanced living are what is all about here, hence you will discover that some of the instore elements are about recycling, reducing and reusing, such as the menu board, takeaway boxes etc. Started my meal with a Hearty Soup of the day - Tomato based Crab Bisque, served with a side of garlic bread ($5). I'm not a fan of cream based soups, hence this works well for me. I would say it tasted a lot better than it looked. 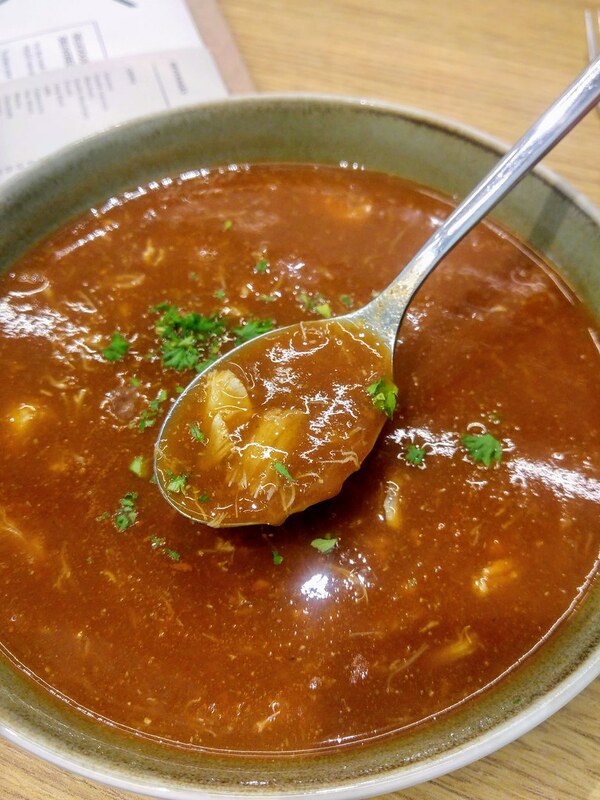 The bisque was well-seasoned and flavourful, and the sweetness of the crab meat was quite pronounced. 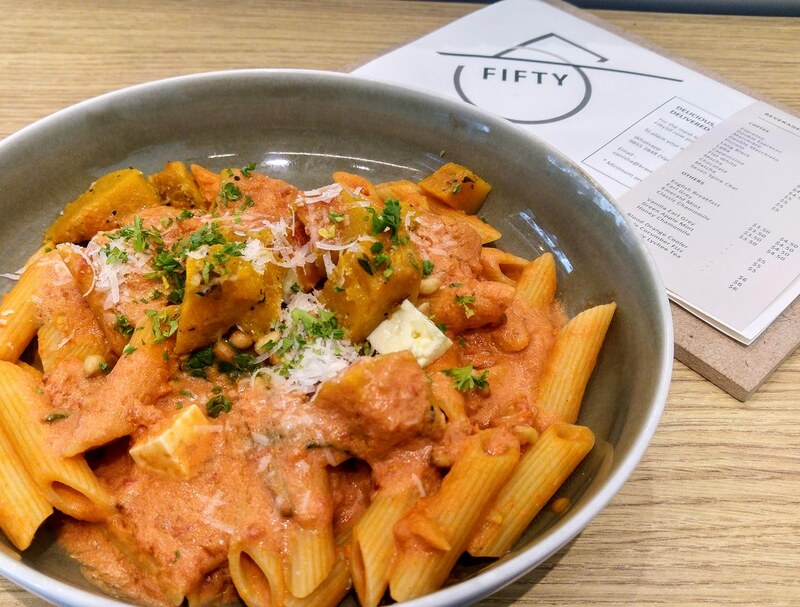 For my lunch, I opted for the Penne Pumpkin ($10.50),served in a marinara cream sauce. 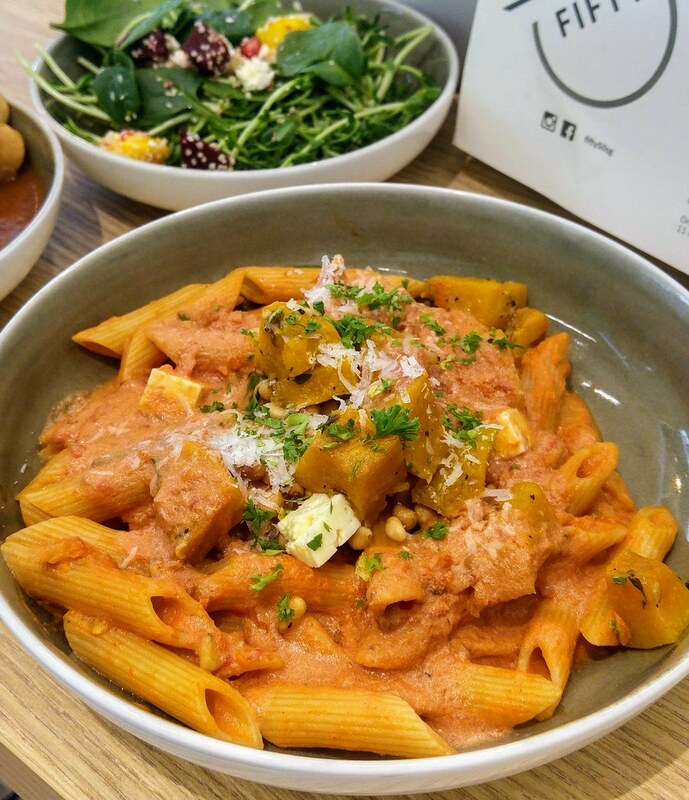 The combination of the dense feta cheese and soft pumpkin gives a rich, mouth-filling texture, and their juxtaposing flavours coupled with nutty nuances from the pine nuts makes the pasta really appetizing. Perhaps that was why I was barely half-way through when all that was left was only pasta and the sauce. Still, I feel the portion of the toppings can be a lot more generous. Fifty50 Daily Greens ($6.50) changes regularly and what I had was seasonal vegetables with cous cous and house pickled beetroot, served with a zesty orange dressing. Options to add on proteins are available, including Crunchy Falafel which is less commonly available in cafes. A couple of beakfast items are available till 11am, which I feel they could have been done a lot better. 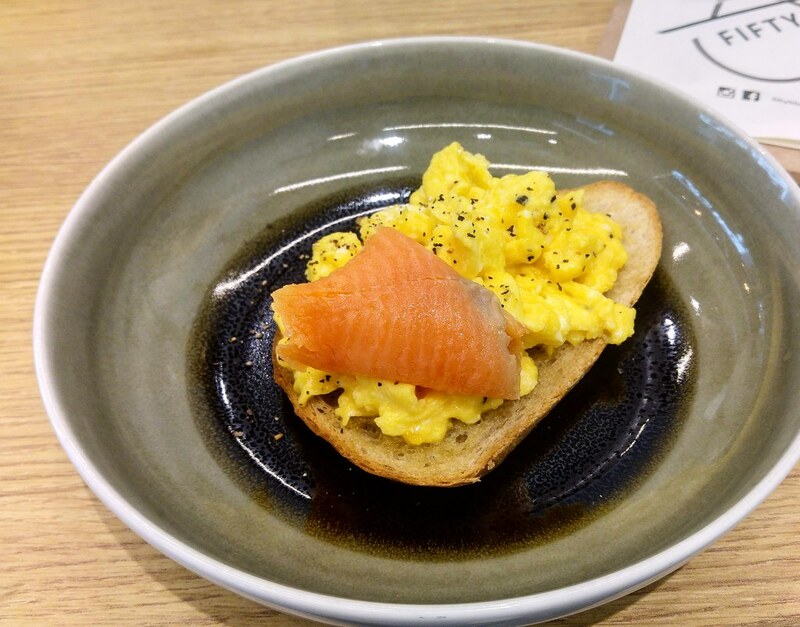 Looking at my Scrambled Eggs On Sourdough Toast ($6.50) with a Smoked Salmon (+$2), I actually miss my own homemade eggy breakfast. Even you don't intend to have a meal, there are very decent coffees are served at Fifty50 from Allpress Espresso but what I really miss is its Seven Spice Chai ($5). Mildly sweet, it was such a comforting post-meal drink. 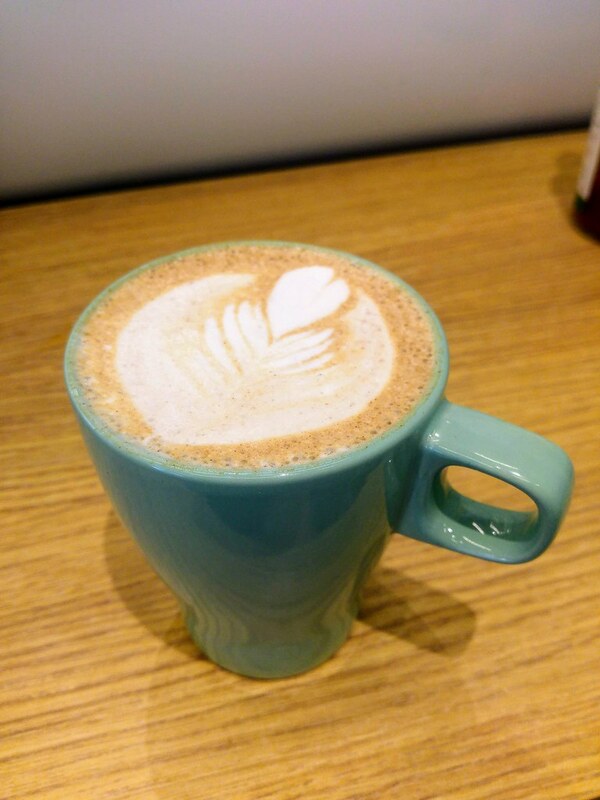 Highly recommended if you are always looking around for a decent Chai Latte. Oh dear - yet another cafe using words inappropriately to try and make their food sound "fancier." That soup is most definitely NOT a bisque - a bisque is a particular type of soup made from a strained shellfish broth, with added cream. A non-strained soup with no cream may be very tasty, but it is not a bisque. Similarly marinara is a particular type of tomato sauce. If you add other ingredients to it, like cream, it ceases to be a marinara, and becomes a tomato cream sauce.